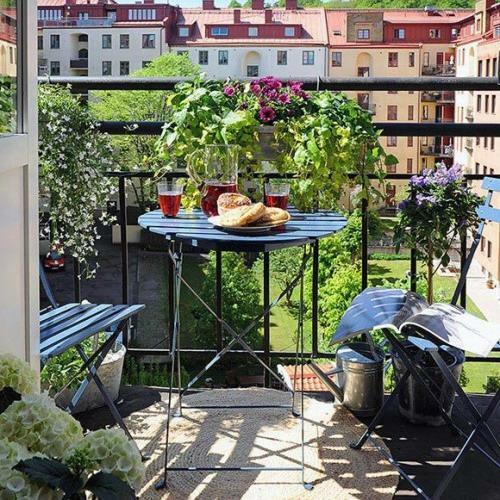 Small balcony designs can provide charming outdoor seating areas and beautify apartments by extending rooms and increasing flat sizes. 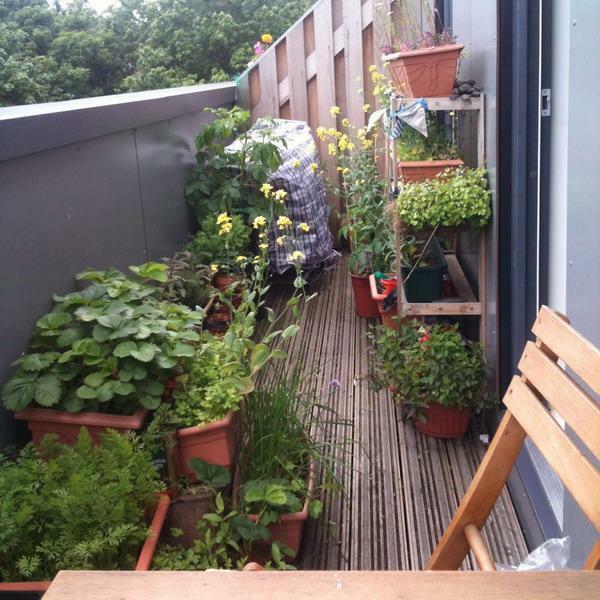 Balconies connect home interiors with nature and encourage people to spend more time outdoors. 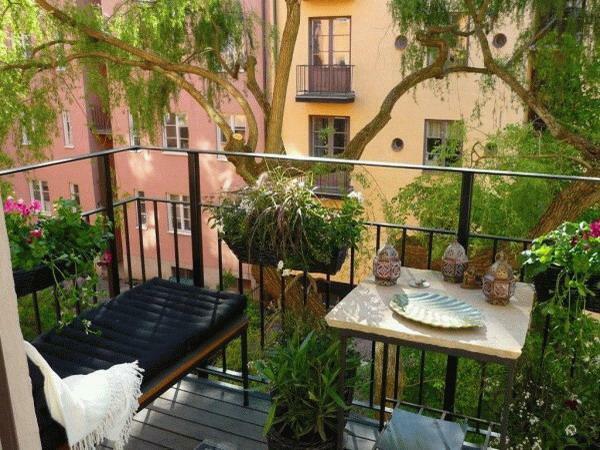 Here are an extensive collection of gorgeous balconies and inspiring ideas for decorating the small outdoor seating areas. 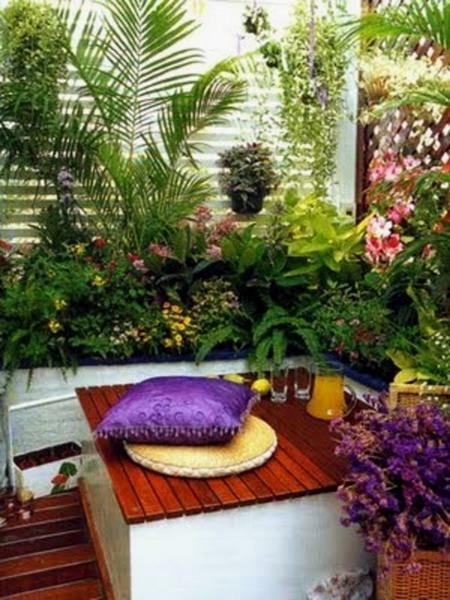 The inspirations will help add chic and charm to your home and turn the outdoor living spaces into peaceful and beautiful retreats. 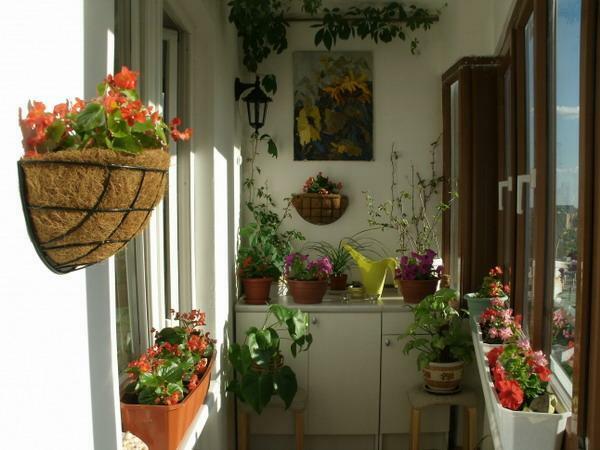 A small balcony with a decorative screen, hanging planters, original garden decorations, and small furniture looks cozy and inviting. 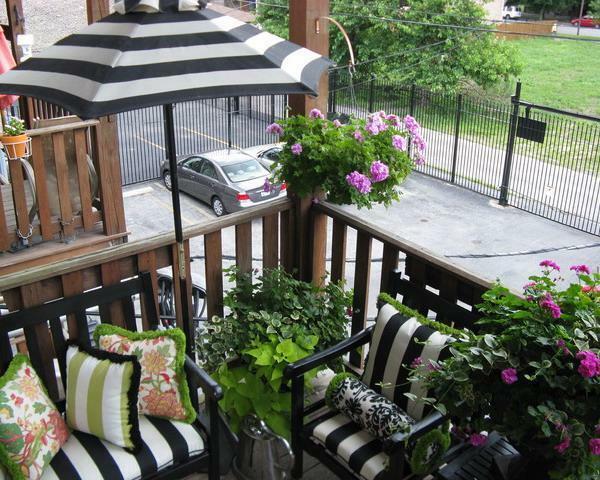 An outdoor seating area is a place where you want to enjoy breakfast with a cup of coffee or an afternoon tea. 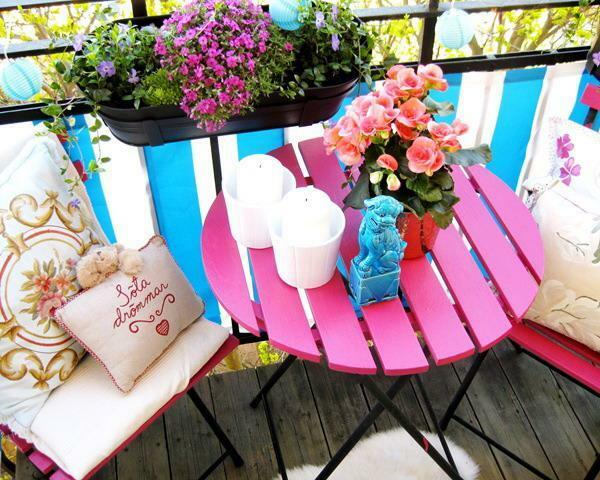 Decorated with lanterns and soft cushions, a balcony provides a beautiful place to relax at night. 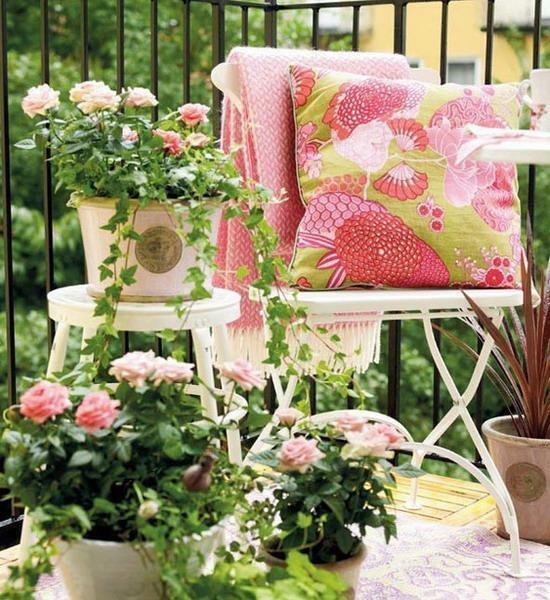 An outdoor rug, a chair, beautiful flowers and plants in attractive containers, and inviting pillows are all you need to create a peaceful paradise on your small balcony. 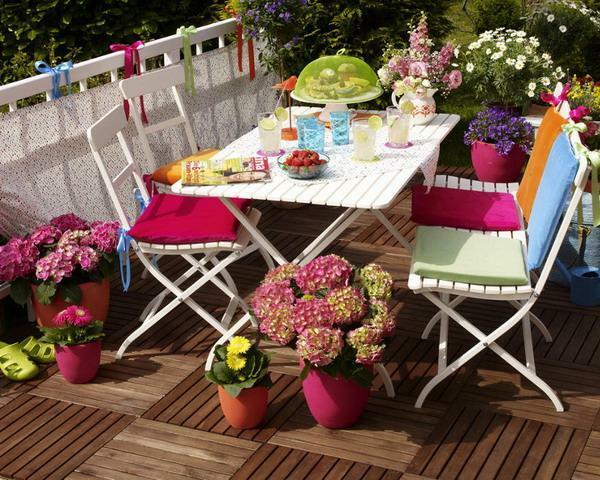 A small table with a matching chair or a space-saving set of folding furniture adds a comfortable dining are for experiencing outdoors. Decorative pillows bring color, and built-in screens or outdoor curtains provide comfort and privacy. 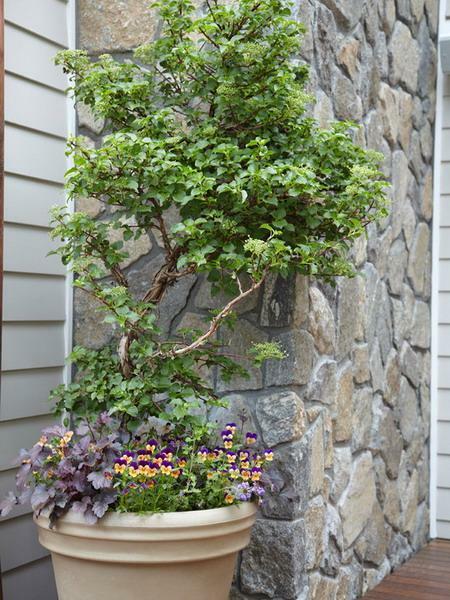 Original garden decorations, especially water features, make fabulous accents emphasizing tranquility and elegant simplicity of small spaces. An outdoor fountain creates a peaceful and calming atmosphere, ideal for complete relaxation. 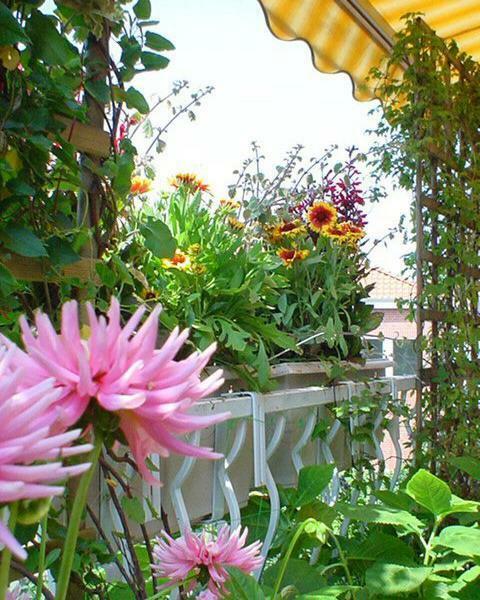 Green plants and flowers have a strong ability to transform outdoor living spaces into pleasant oases. 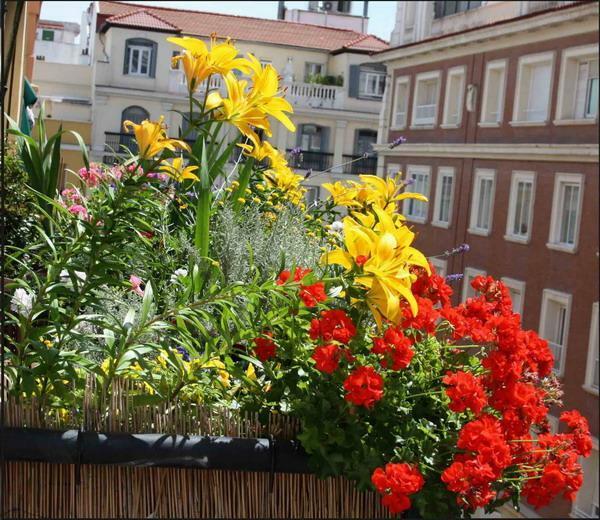 Beautiful flowers add charm to small balconies, patios, and terraces. 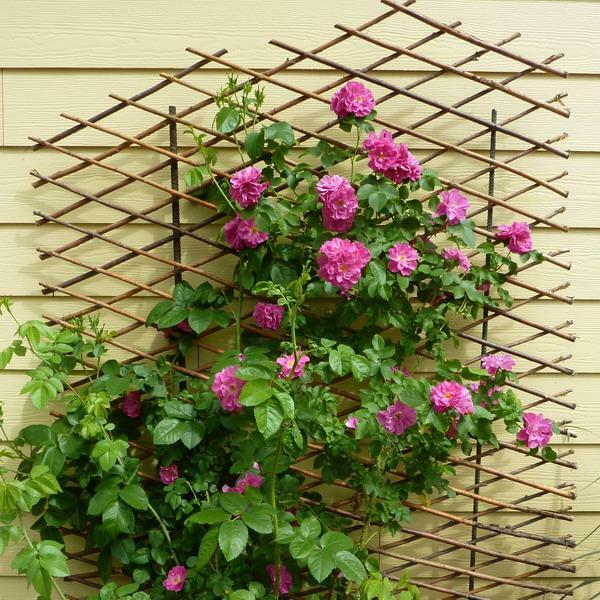 Climbing plants or hanging from the ceiling flowering plants look gorgeous creating elegant, unique, and cozy outdoor living spaces. 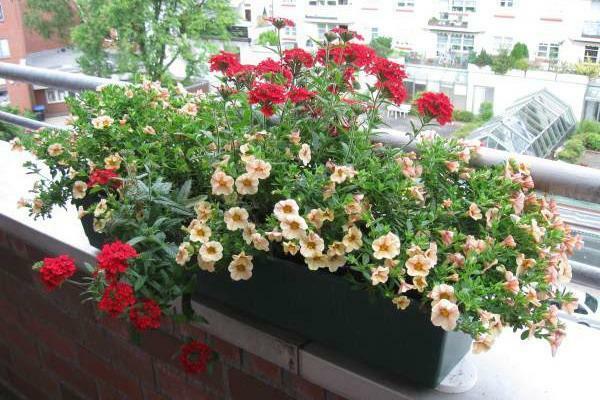 Balcony decorating with flowers and plants can be inexpensive but bright and cheerful. 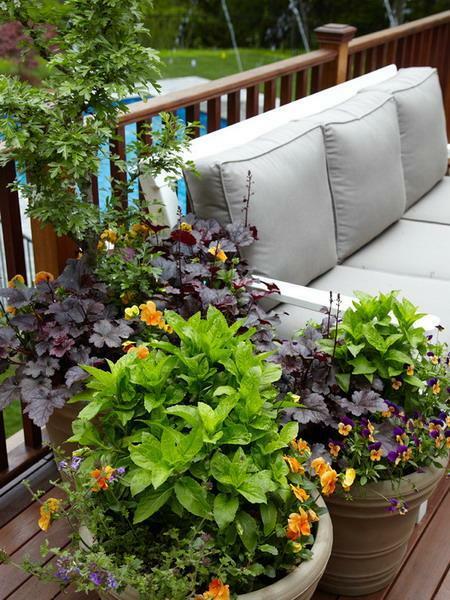 Comfortable furniture and fun items, combined with beautiful flowers and plants create relaxing and intimate open-air lounges where people can dream, read, meditate and rejuvenate. 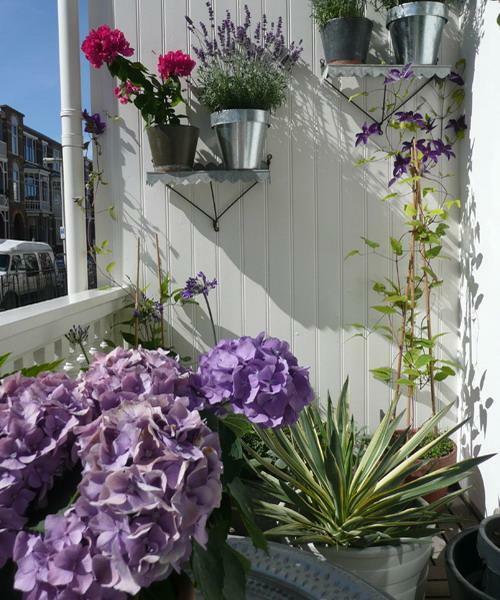 Fresh air is good for your body, and being surrounded by flowers and plants improves your health, connects you to nature and lifts your mood. 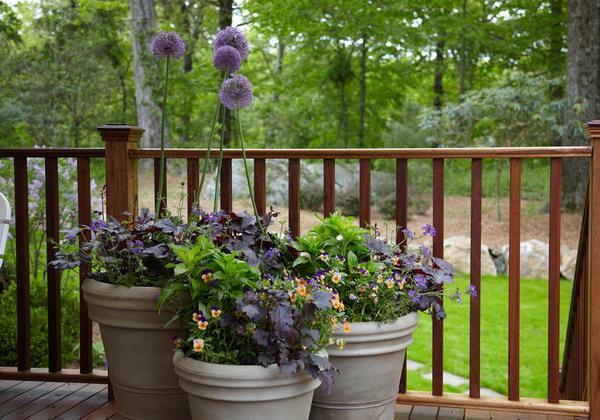 Green ideas mixed with colorful flowers look attractive and increase home appeal. 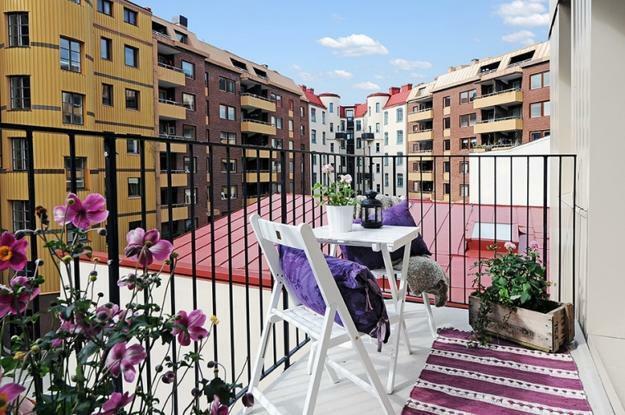 Beautiful balconies impress and fascinate people, but it is easy to realize that all balcony, terrace or patio designs can turn into bright, impressive, and comfortable outdoor rooms. 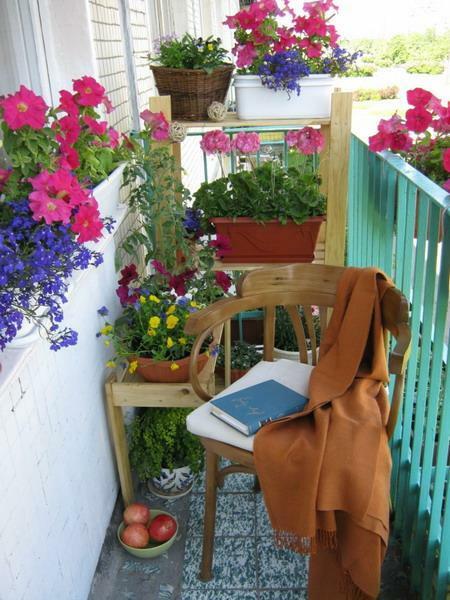 A few simple steps can transform a small balcony or patio into a gorgeous and welcoming oasis. 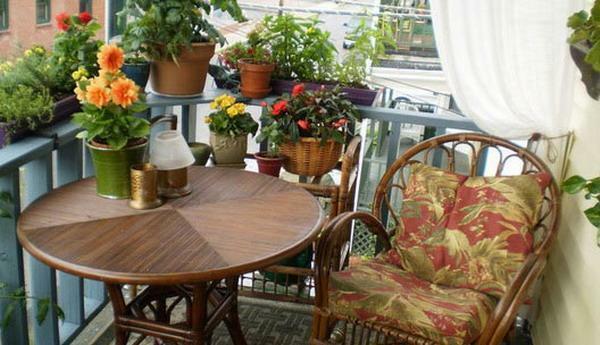 Attractive colors, original accents, comfortable and space-saving design are three essential elements of unique and beautiful balconies. 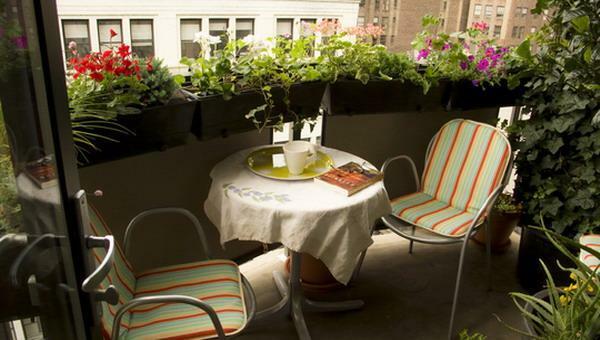 A bistro set with small chairs or a comfortable bench with decorative pillows, a few flowerpots with blooming plants and outdoor lanterns are easy solutions for spectacular and comfortable small balconies. 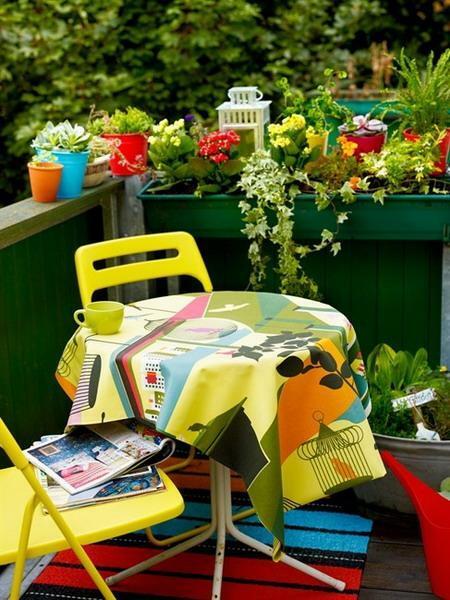 A strategically placed outdoor floor rug and furniture help define your outdoor seating area in an attractive and practical way. Buying an outdoor floor rug or just painting a rug-like pattern on the floor are two alternatives to lacking interest decor. 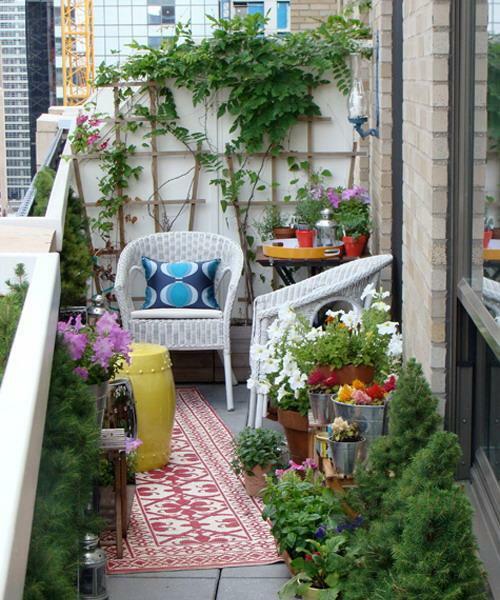 Creative details, vibrant hues or contrasting colors enhance small balcony designs and create cozy, beautiful, and inviting outdoor seating areas. 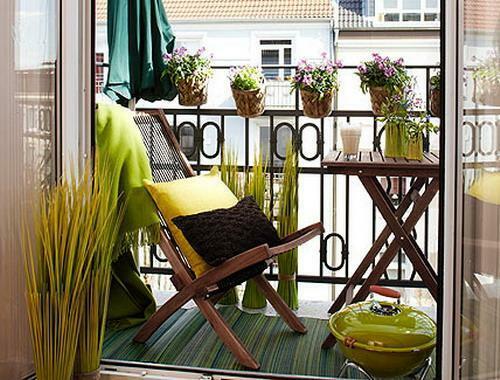 Balcony decorating with flowers and plants is not only charming but functional also. 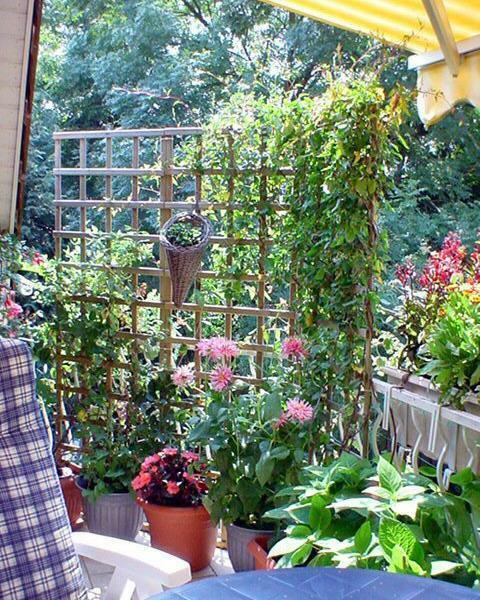 A few large plants make beautiful screens for more privacy. 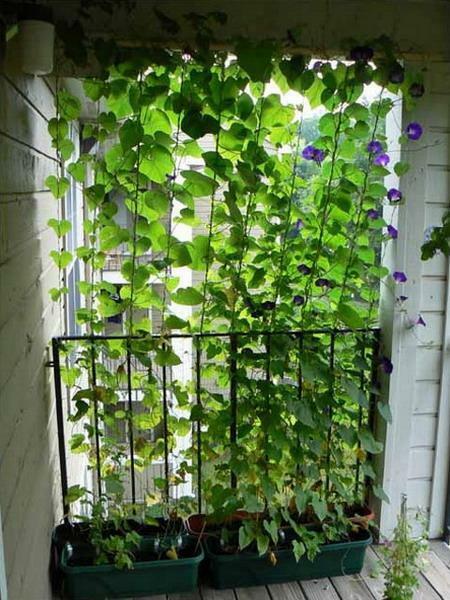 Hanging from the ceiling plants and screens for climbing plants add shade to the balconies and help keep home interiors comfortable in summer. 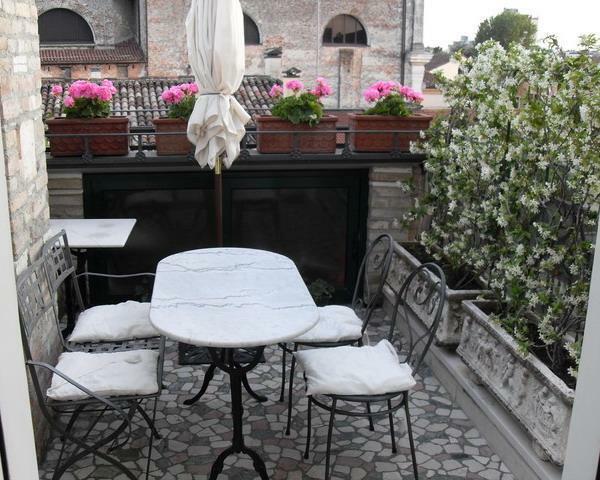 Simple outdoor lighting improves the functionality of outdoor living spaces also. Modern outdoor lighting fixtures add a contemporary flair and a welcoming look to small outdoor rooms. Vintage lighting ideas and lamps in retro styles blend originality with classy designs creating safe and beautiful outdoor seating areas. 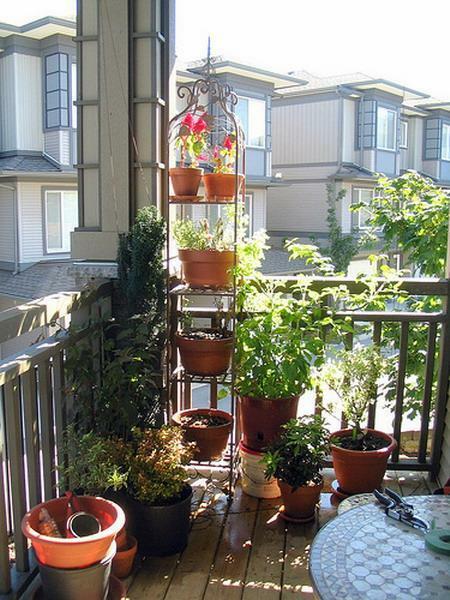 Wind chimes and small water fountains are perfect additions to patio and balcony designs that bring a natural feel into your home while creating tranquil outdoor living spaces. 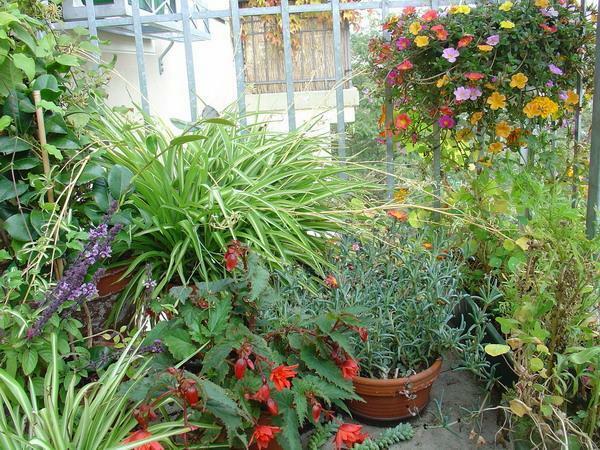 Outdoor water fountains look fantastic with plants and flowers. 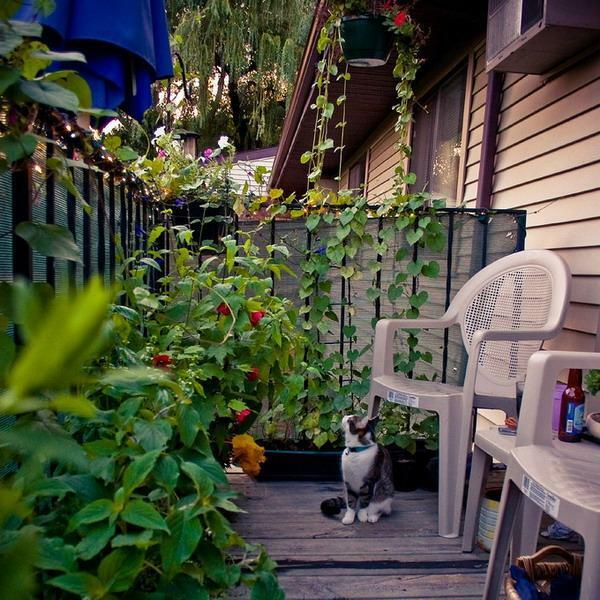 Your favorite sounds, flowers, and plants transform small outdoor rooms into charming and intimate retreats. 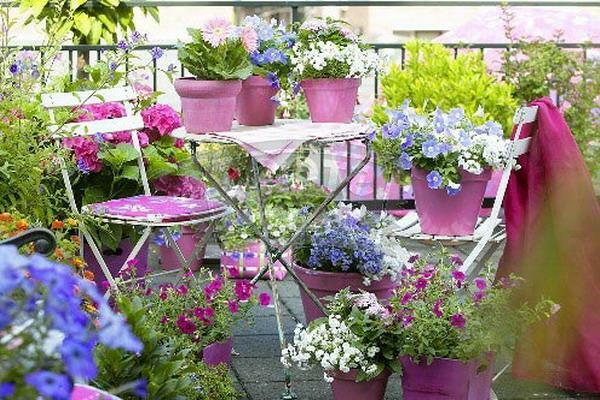 Small garden decorations beautifully accentuate small outdoor living spaces. 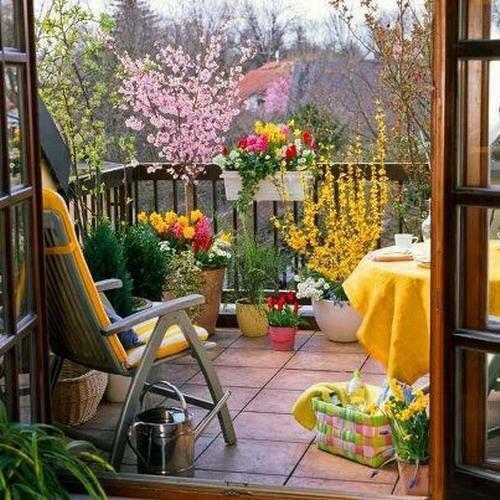 Hanging artworks and crafts personalize porches, patios, and balcony designs and work well with colorful flowers and green plants. 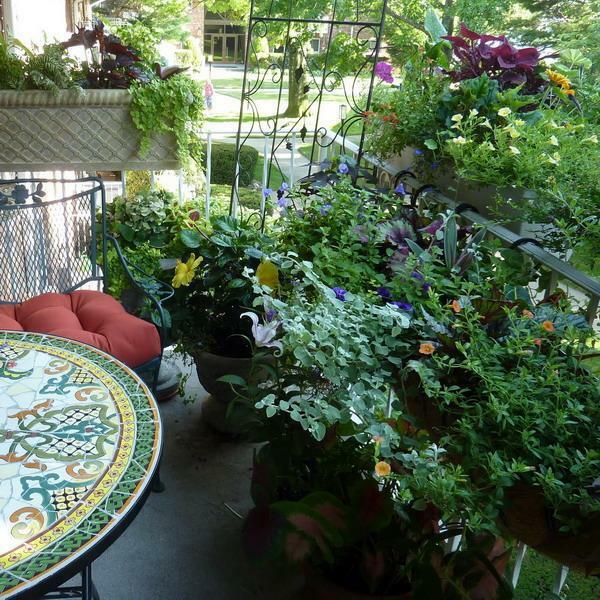 An artistic touch of handmade designs sets an amazingly elegant, comfortable, and pleasant atmosphere and enhances outdoor rooms in many ways.